Born in Anola, Man., in 1973, Koskie was a multi-sport star in high school, excelling in baseball, hockey and volleyball. 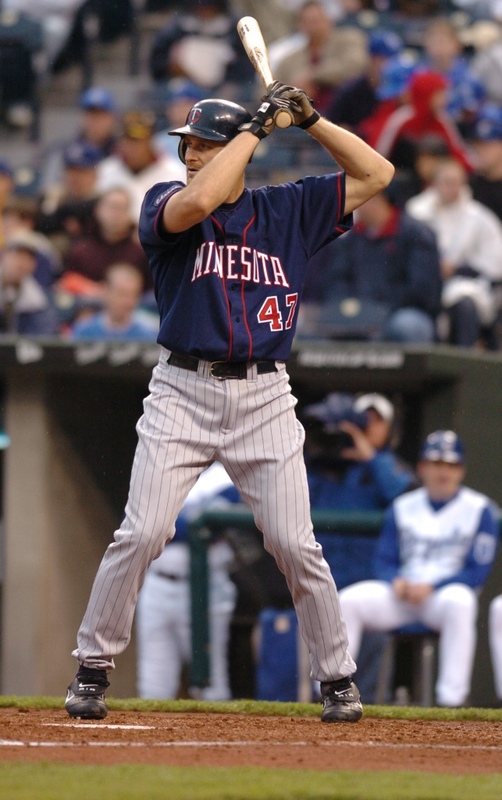 After choosing to focus on baseball, he honed his skills at the National Baseball Institute in Surrey, B.C., in 1993 before he was selected in the 26th round of the 1994 MLB amateur draft by the Minnesota Twins. The 6-foot-3 slugger played parts of five seasons in the minors prior to making his big league debut on September 9, 1998. He became a regular with the Twins the following season when he hit .310 and belted 11 home runs in 117 games – a performance that earned him a spot on the Topps’s 1999 All-Star Rookie team. But his true breakout season would come two years later, when he scored 100 runs, socked 26 homers, collected 103 RBI and swiped 27 bases to become the first third baseman in American League history to record at least 100 runs, 25 homers, 100 RBI and 25 stolen bases in the same season. For his efforts, he was named co-winner (with Larry Walker) of the Canadian Baseball Hall of Fame’s Tip O’Neill Award. In the ensuing three campaigns, he never hit less than 14 home runs in a season and he helped the Twins to three consecutive playoff berths. On December 14, 2004, he signed with the Toronto Blue Jays and would slam 11 homers in 97 contests for the Canadian club in 2005, prior to being swapped to the Milwaukee Brewers in January 2006. He had 12 homers in 76 games for the Brewers in 2006 before sustaining a concussion on July 5 that eventually ended his career. In all, in nine big league seasons, Koskie suited for 989 games – more than any other player from Manitoba – and ranks seventh all-time amongst Canadians in home runs (124) and on-base percentage (.367) and eighth in slugging percentage (.458). He also played more big league games at third base than any other Canadian and ranks first among Canuck third basemen in batting average, home runs, RBI and on-base percentage. He also competed for Canada in the 2006 and 2009 World Baseball Classics. For his efforts, he was elected to the Manitoba Baseball Hall of Fame in 2011 and the Manitoba Sports Hall of Fame in 2013. During his career, Koskie was also involved with numerous charities and he continues to support fundraising activities for the Twins Community Fund. In 2001, he was the recipient of the Twins’ Carl R. Pohlad Award, which is handed out by the club to a player, coach or manager for outstanding work in the community.